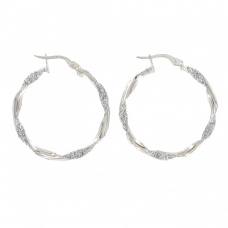 We stock a stunning range of earrings in all different styles to Diamond, Gold Stud earrings, hoop earrings, earrings with diamond or coloured stones; all can make a real difference to how you feel when you step out the door. 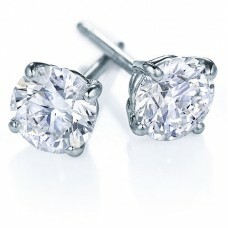 As a birthday or Christmas gift, earrings can be a much appreciated choice as they can be worn many times over for a selection of different occasions. 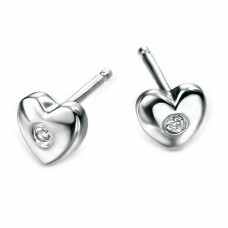 At Nicholson & Coulthard we have a large collection of earrings with various styles and designs on offer for you to choose from. 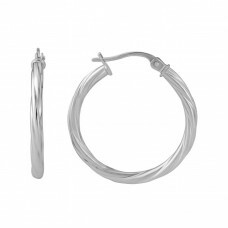 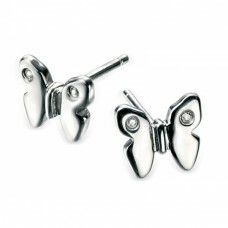 9ct White Gold Sparkle Twist Hoop Earring Please note - earrings are non..
9ct White Gold Twist Hoop Earrings Please note - earrings are non-return..
A lovely pair of D for Diamond sterling silver butterfly girl's stud earrin..
Beautiful D for Diamond silver heart earrings for young girls, each set wit.. 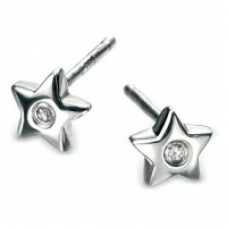 Description: Sterling silver and rhodium plated star stud earrings.Packagin..